The cleverly designed Portwest S469 is a padded garment traps heat to keep you warm when worn either way. 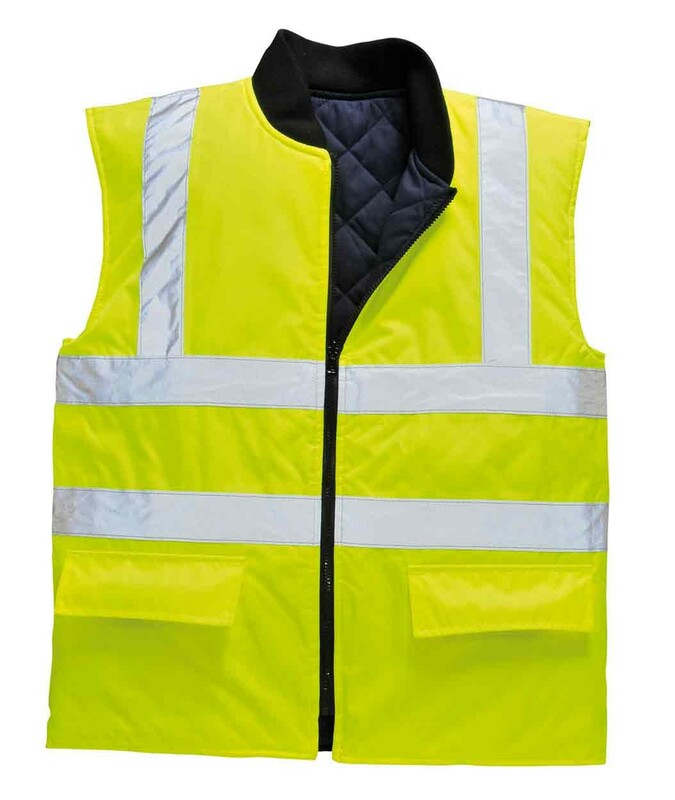 The Hi-Vis side of the garment provides added visibility and safety for the wearer when needed. Can interact with style S468. Fully Certified to EN471 Standard! Fabric: 100% Polyester, 300D Oxford Weave with a Stain Resistant finish, PU Coated 190g. Lining: 65% Polyester/35% Cotton, 260g/Wadding 200g. 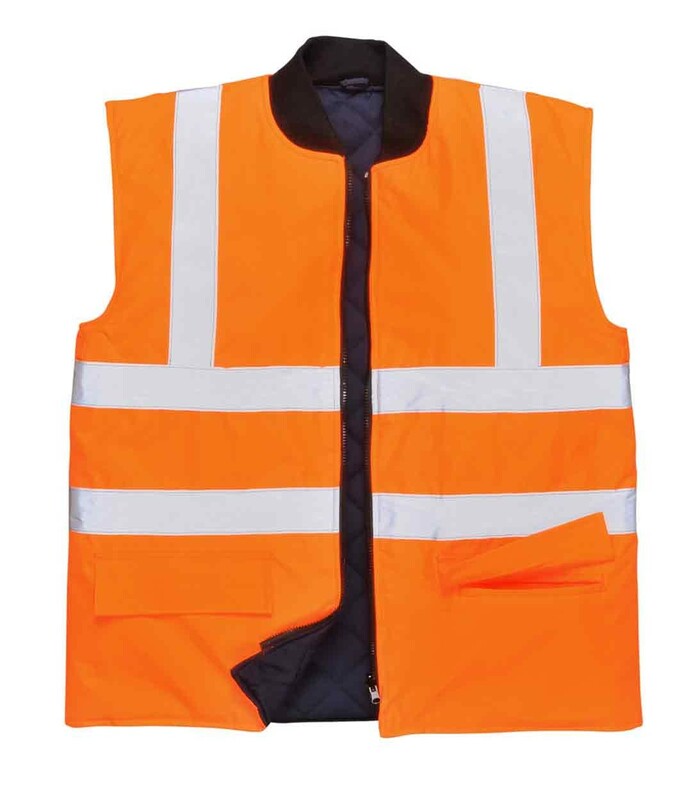 EN ISO 20471 Class 2; GO/RT 3279 (Orange only).